1. Donors giving a one-off donation of £100+ or a regular donation of £8-£29 a month are offered a name inscription on the new Snowdon Aviary exhibit containing a maximum of 35 characters including spaces. Symbols, special characters and images are not permitted. 2. Donors giving a one-off donation of £400+ or a regular donation of 30+ a month are offered a name and message inscription on of the new Snowdon Aviary exhibit containing a maximum of 60 characters including spaces (max. 20 characters per line, max. 3 lines). Symbols, special characters and images are not permitted. 3. The Snowdon Aviary appeal is open to individual donors only and ZSL cannot offer acknowledgement to companies supporting this appeal. 4. Inscription spaces will be allocated on a first come first served basis. 5. Inscriptions will be placed in random order as part of the exhibit and we regret that it is not possible to request a specific location within the recognition. 6. ZSL reserves the right to decline your donation towards the Snowdon Aviary appeal. 7. Once a donation has been accepted it cannot be refunded. 8. The donor acknowledges that the inscriptions will be used on the new exhibit and that the donor will not receive any other benefit in exchange for their donation. 9. The donor’s choice of inscription is subject to ZSL approval. 10. The donor must return their inscription or changes to their inscription to ZSL in writing by the requested deadline. Any late inscriptions cannot be accommodated and donations cannot be refunded. 11. Please check that your inscription is correct as you intended it and notify us immediately of any errors. ZSL regrets that we cannot accept responsibility for any errors not notified to us by the requested deadline. 12. After the requested deadline inscriptions cannot be cancelled and cannot be removed from the recognition. 13. ZSL may take photographs or images of the new exhibit which may include the donor’s inscription and may be used for commercial or press purposes and in order to promote ZSL’s conservation work and Zoos. 14. Donating towards the Snowdon Aviary appeal does not grant free access to ZSL London Zoo or ZSL Whipsnade Zoo. Tickets can be purchased from the website. 15. Donors choosing to make their donation by monthly Direct Debit payments must complete 12 payments (with a minimum of £8 or £30 month). Failure to make 12 payments will result in the inscription being removed from the exhibit. 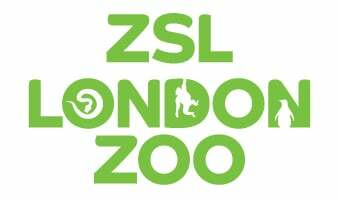 ZSL will not to prompt the donor with regard to their Direct Debit at the end of the 12 month period. 16. In the event that a payment is rejected by any bank or credit card company, then the inscription will be cancelled. The donor can make a donation using an alternative payment method but ZSL cannot guarantee a reservation of the space as they are allocated on a first-come, first-served basis.